An entry in the “Golf Magazine” of July 27th 1894 marks the beginning of Saltburn-by-the-Sea Golf club. It states that there was a well-attended meeting at the Zetland Hotel in Saltburn on Thursday July 19th and that it was decided to form a golf club and to invite the Marquis of Zetland to become the patron. The course was then of 9 holes and was situated on the West Cliff, ten minutes walk from the town. The ground was on the aptly named Windy Hill Farm and is in the area known locally as Agars Gap. All traces of the Club House, the tees and greens have long since disappeared as erosion is extremely active on the low soft clay cliffs. Little is recorded about the early years of 1894 to 1902, but it is recorded that in 1896 money was spent laying out the links at Hob Hill, which is where the course is located to this day. It was also in 1896 that Saltburn Golf Club became a Limited Company. The land on which much of the present course stands is the site of a former open cast ironstone mine which was closed around 1874 for economic reasons. In the early days the course was only 9 holes, varying in length from 181 to 334 yards. The First World War brought a period of stagnation and it was after this war that the course was increased to 18 holes. The first time it was officially played as an 18 hole course was on 17th June 1922, for which tournament Mr McBain presented his Challenge Cup. The McBain Cup is the oldest trophy that is still played for to this day. It was in October 1922 that the committee decided to extend the course on the lines of James Braid’s report and this work was completed by 1924. About this time the Professional at the club was T. E. Cooke, father of Bernard Cooke, the international golf coach and author of many golf books; Bernard started his playing career at Saltburn. The Second World War created another difficult period and parts of the present 10th, 11th and 14th fairways were ploughed up to support the war effort.During the conflict a bomb fell on the 9th fairway creating a crater that can still be seen to the present day. In the 1950’s and 1960’s there were two famous personalities at Saltburn. 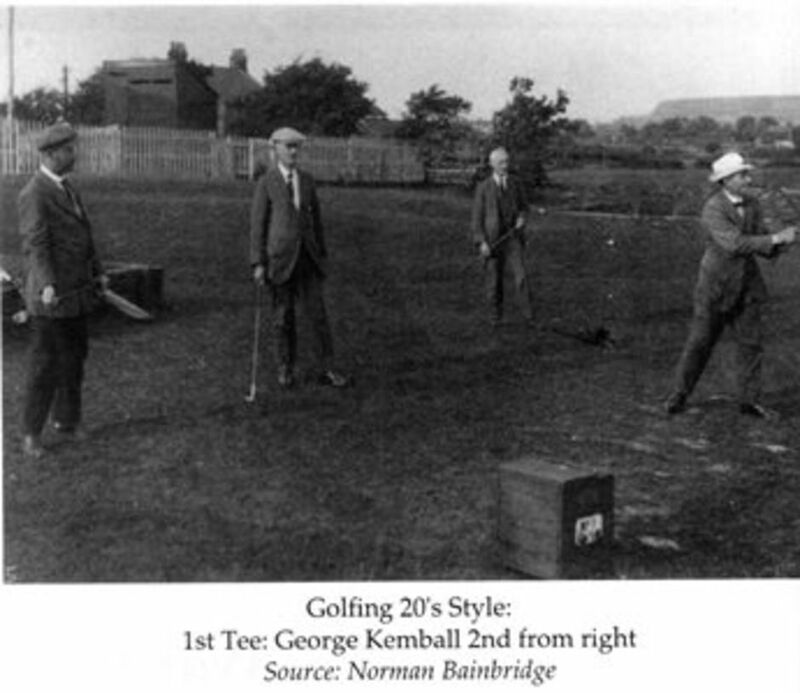 One was Harold Kemball, a local scratch golfer, who dominated Saltburn and Teesside golf for more than a decade and put Saltburn on the map in the Teesside area. The other was Brian Waites who was professional at Saltburn from 1961 to 1965. Brian went on to be a member of the Ryder Cup side of 1983 and World Cup sides of 1980-84 as well as being Tournament Player's Champion in 1978. In 1989 Brian returned to Saltburn to officially open the new clubhouse, although it has been extended since. From the end of the war in 1945 the club has developed enormously with great improvement projects on the course and the clubhouse. The previous wooden clubhouse became a practice room and then suffered fire damage and was demolished in the 1980’s. A feature of this period of development has been that in the 72 years from the end of the war through to 2017 there have only been 12 Presidents of the Club, which has created invaluable continuity for the development of Saltburn Golf Club. Anyone interested in the first 100 years of Saltburn Golf Club should contact the Club Secretary to obtain one of the special books produced for the centenary celebrations.